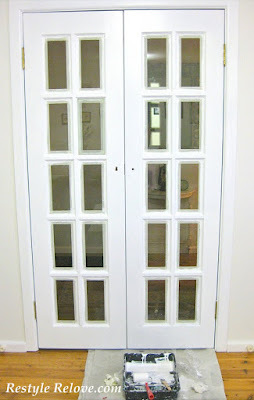 on my to do list, and painted them white. Below is the before pic taken when we first moved in. 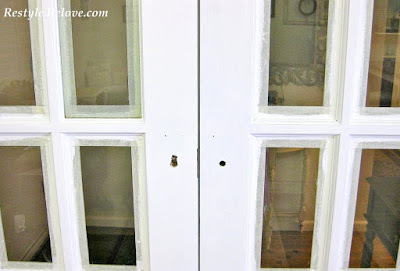 Firstly we removed all the brass hardware. Then I taped around all the glass windows inserts. 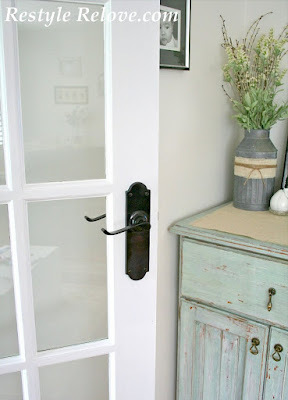 I spray painted the handles with a grey metal undercoat. Then applied 2 coats of gloss black spray paint. 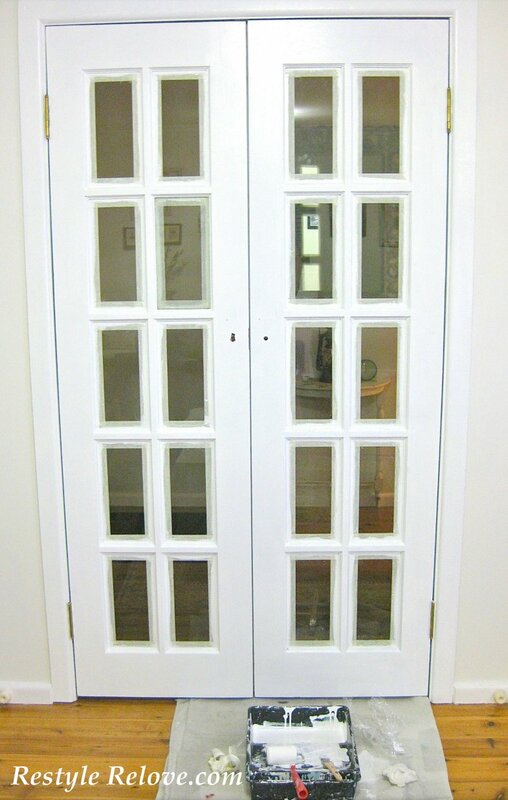 and instead painted straight over them in white. After all the tape was pealed off and the glass cleaned (sparkle, sparkle), this was the result. I'm so happy with how they turned out. And the black handles look so much better. They look sooooo much better! Great job! A HUGE improvement! Wonderful job! It's big project to redo. Very pretty outcome. Love white love France. 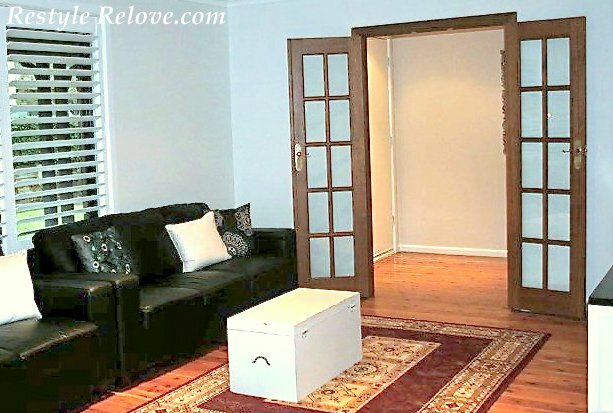 Hi Julie, wow, this turned out beautifully. 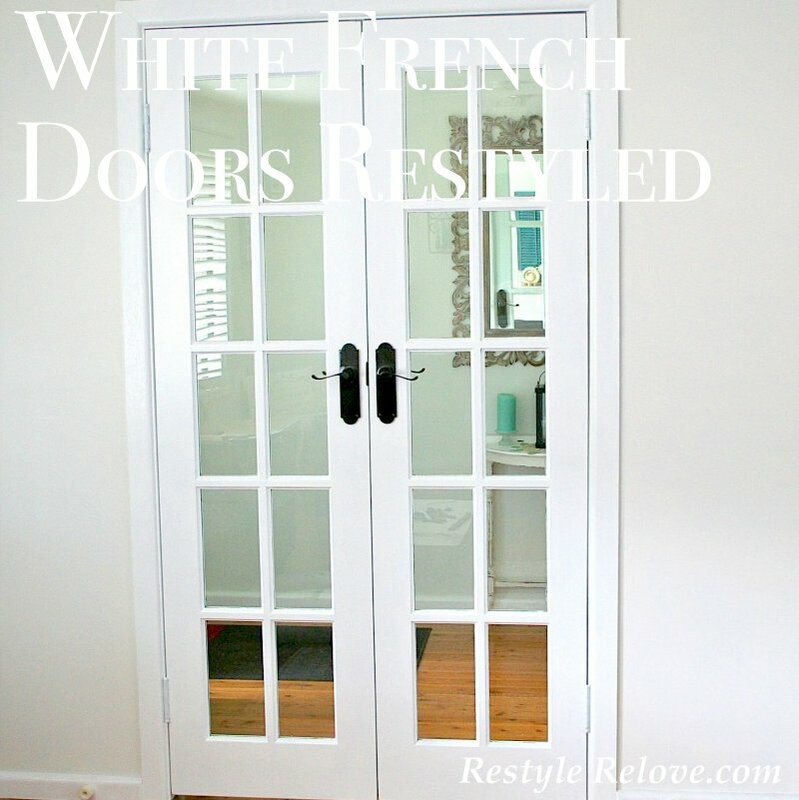 I love French doors, so much character! and it made such a big change in your room. thanks so much for linking up to the party!! Beautiful! 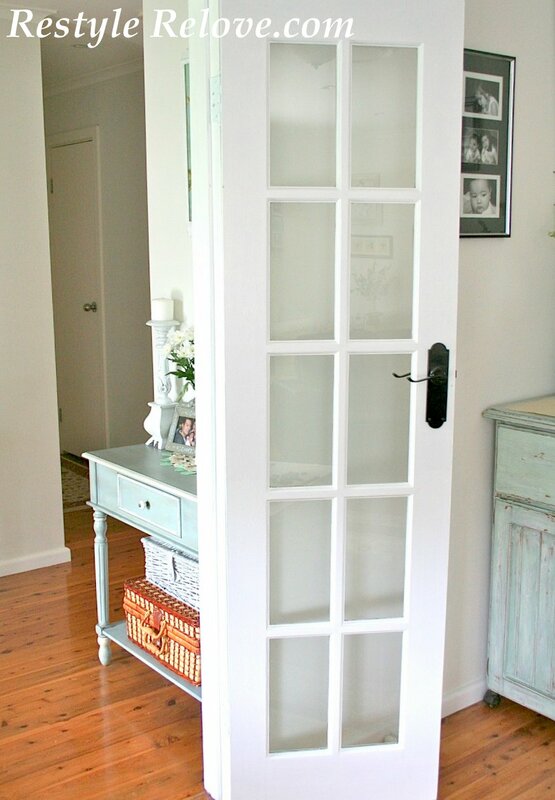 I'm in the process of painting my French door white but goofed when I thought I would antique it!! It looks awful! Now I'm back to square one... the things we do to ourselves!!!!!!!!!! Thanks for the inspiration, I'm gonna need it! Absolutely the right decision, Julie! They look fantastic! 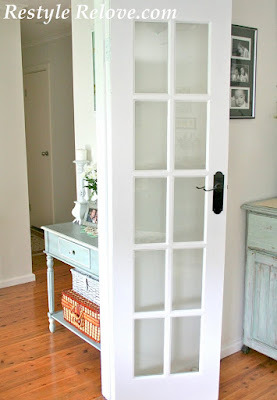 A little white paint is magical, don't you think??? lol! They turned out awesome! Thanks for sharing at A Pinteresting Party! What a difference! It looks great and I love the blue of that other furniture in the picture. Enjoy the rest of your weekend! Your hard work really paid off! Very nice...so fresh and clean. It completely woke up the area! Great job, wow! 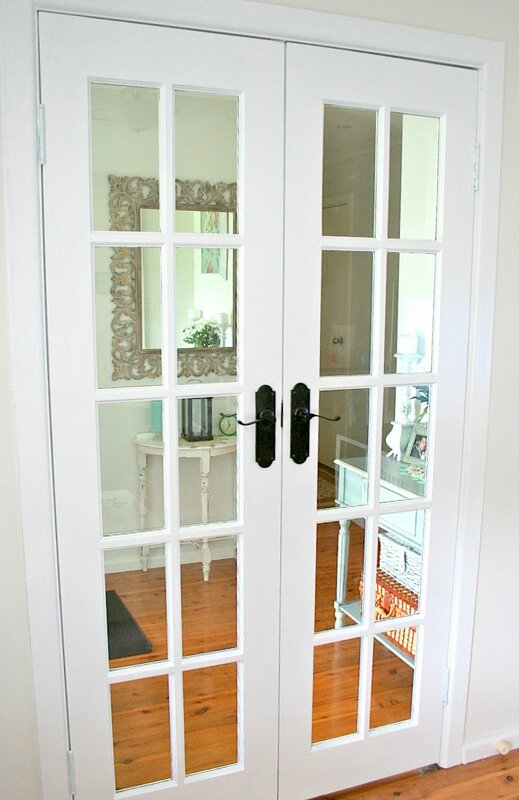 I love your doors and I love French doors, they are so romantic and cozy. Have a great week. I love the black hardware with the white doors! Beautiful! 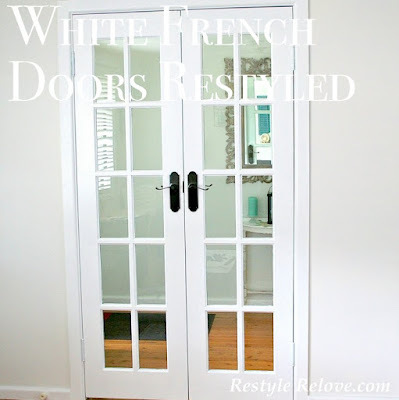 Your French door makeover is fabulous! Just love them in white. Wishing you a great week. 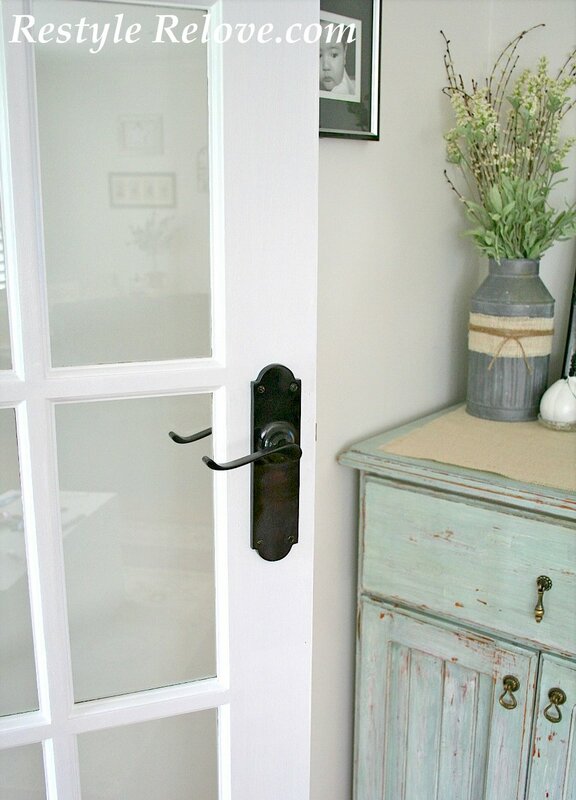 Yes, they look fab - right down the contrasting black handles. Well done. 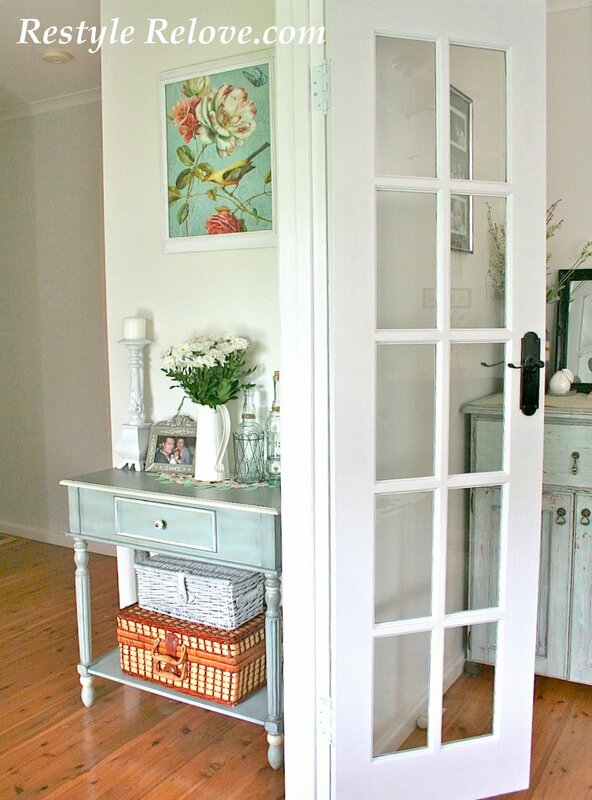 Your pretty doors are fabulous and are a feature this week! Thanks for linking up! White is so fresh and beautiful. Do you mind sharing what paint you used for the hardware? I'm so new to this world and I have a lot of questions. They turned out so nice. Did you use a roller or brush on your french doors? Thanks! !